350ml capacity. 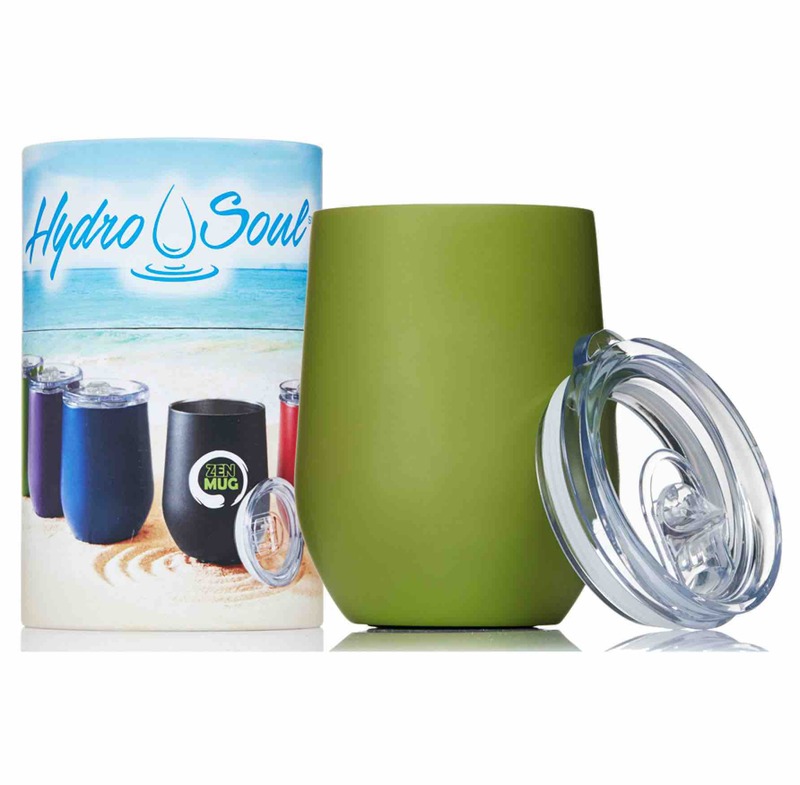 Hydro-Soul tumblers are made of double-walled stainless steel and are vacuum insulated for maximum temperature control. These tumblers are able to hold ice for up to 24 hours, or keep hot drinks HOT. All tumblers feature clear plastic lids with sliding closure. All tumblers are crafted from food grade stainless steel and are BPA Free. 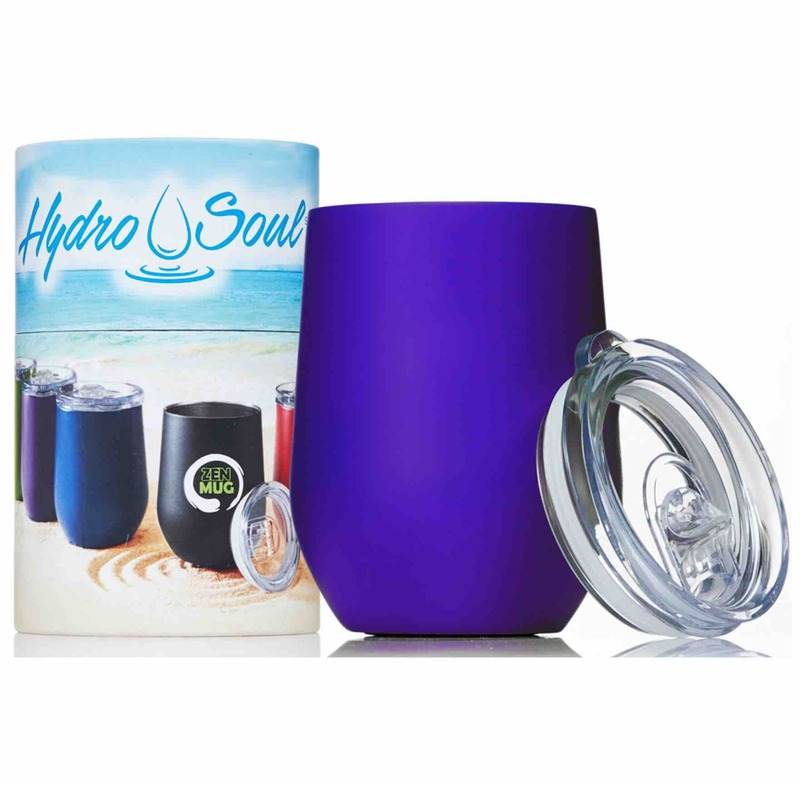 Individually gift boxed in full colour Hydro-Soul cylinder boxes. Hand wash only. Do not freeze or microwave.